The Technology Department at NDCL incorporates state of the art technology with a dynamic and comprehensive curriculum. Experienced teacher’s guide and challenge students toward a thorough understanding of the subject matter. Students develop skills needed to meet the challenges of one of the fastest developing areas of study. Students master consumer software, and learn to interact with client/server applications on a network. They have the opportunity to learn the most widely used language in the construction of commercial software, C++. 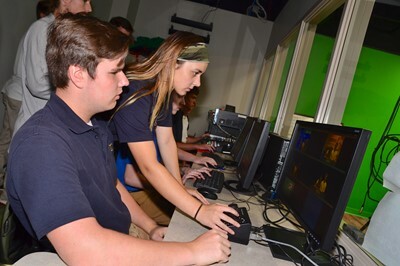 Students will become proficient in the use of various software packages including Microsoft Office and the Adobe Creative Suite 5, which includes InDesign, Photoshop, Premiere Pro, Dreamweaver and Flash.